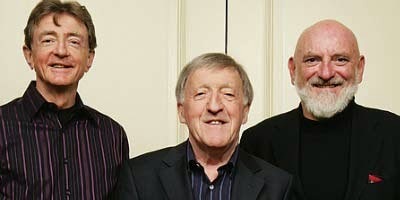 For over half a century the Chieftains have served as global ambassadors of traditional Irish music, collaborating with the likes of the Rolling Stones, Chet Atkins, and Van Morrison while, with the 2012 LP Voice of Ages, recording with such relatively younger artists as Bon Iver, Lisa Hannigan, and the Civil Wars. 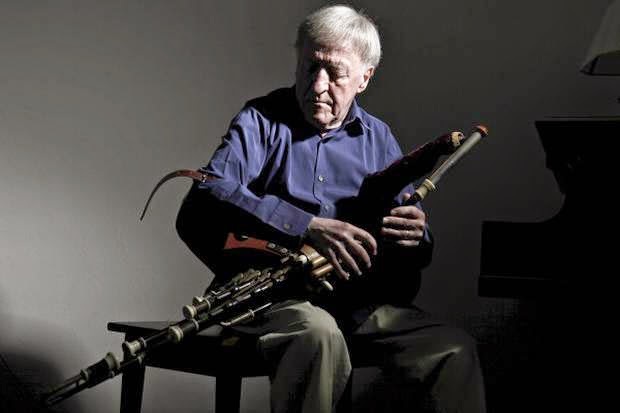 Whether playing songs with friends or performing them on concert stages the world over, the Chieftains are known for breaking down whatever barriers or misunderstandings may exist within such contexts in order to reach a common appreciation for the music. This week, though, the group is upping the ante, hosting the Celtic Sessions, running today through Friday at the Gideon Putnam Resort in Saratoga Springs, New York. “It’s going to be an interesting little adventure,” says leader and founding member Paddy Moloney—the group is currently rounded off by vocalist Kevin Conneff and flautist Matt Molloy—of the workshops, lectures, and live performances that lay ahead. 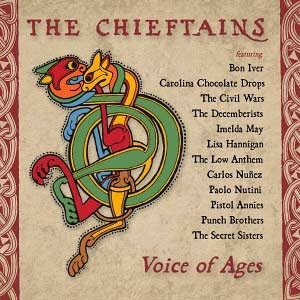 Where did the idea for The Celtic Sessions come from? It’s been there for quite some time. I’m not sure of the whole history, but there have been famous artists that have done the same thing. And we were approached from our agency [to see] if we were interested. It’s all in the same place; it’s not too strenuous. It’s not like the grueling job of touring, on the road. We’ll be in the same place for the week. It will be a pretty nice adventure, I gather. And of course there will be questions and answers. I encourage that a lot, for people to ask questions because it could lead to stories just the same as I am talking to you now. You’re known for collaborating with some rather mercurial artists, and some of them don’t particularly have reputations for playing well with others. How do you, going into those sorts of projects, bridge that? Does the music just override all that? The music, and I know where they’re coming from. Sometimes I have to pick up the phone and talk to somebody without having met them—a great artist, a rock band—and I just get that feeling from conversation that “this is going to work,” and then continue from there. I will be listening to their music and our music, [and asking myself], where would I see this fusion happening? What is out there to make it work? The Chieftains have a longstanding relationship with Van Morrison, who produces such gorgeous music but is also known for being a curmudgeon of a man. Yeah, I know. [Laughs] It’s funny; him and I get on very well. I respect him ... but then he has great respect for me too. When I asked him to do “Shenandoah,” for instance [he said], “I liked that a long time ago. We should’ve done that a long time ago!” And I said, “Well, look, let’s go for it here.” And I put it together, and he helped us. He sings it different every time. He’s just a genius that way. He’s come up with some great songs, some lovely songs. To me he’s the best. Your recording with him of “Shenandoah” is absolutely gorgeous. It was such a joy. I’ll never forget it. It was great, absolutely wonderful. And the Irish Heartbeat album, nobody can get it because it has never been re-released. So, if you have a copy of it, hold onto it. In your collaborations, like the ones on Long Black Veil and Voice of Ages, what’s striking is that when other artists do something comparable it’s usually in an attempt to attract a younger demographic or a wider demographic. Your albums seem to feature artists who are turning their audiences on to you, not the other way around. You’re not accommodating the style of the moment. You’re doing what you’ve always done. That’s correct, yeah. To me it’s a big party, every track.... One of the ideas I had for the last album [Voice of Ages] was, “I should get back with my old friends again, Mick and Marianne and Sting,” but I decided to come down a generation. And that’s where I landed. I had a little help from T-Bone Burnett as well; he produced a number of the groups and sat in on a few of the tracks.… Those artists that joined us, those young artists, they knew us inside out, they knew what we were about and our style and playing and everything. So it was very easy for me.